For those looking to learn more about port, it can be a confusing and poorly communicated style of wine. Often the only available Port in an outlet is a Ruby Port, mostly seen at Christmas (cliché clanger), and more of an afterthought or back-of-the shelf drink than an appealing alternative to other styles of wine or drink categories. So, let us try to untangle the meaning of this wonderful, rich, warming and versatile drink unique to the Douro Valley in Northern Portugal. The grapes used are a blend of indigenous varietals including Touriga Nacional, Tinta Barroca, Touriga Franca, Tinta Roriz (Tempranillo), Tinta Cao. The wine making starts like most other wines – grapes are crushed and the juice is fermented. To achieve the world-famous style that is sweet and high in alcohol, brandy is added to the wine to stop fermentation, resulting in a wine that is sweeter and high in alcohol. There are many different styles produced defined by the way they are aged. First let us start with white Port which is becoming increasingly popular in style and akin to a Gin & Tonic offering. Made from white grapes (Gouveio, Malvasia Fina, Viosinho) it has a golden colour, is low in acidity and deliberately oxidised giving honey and nut aromas. Tends to be non-vintage, matured in wood for around two years, and typically produced in an off-dry style. See Taylor’s Chip Dry White. 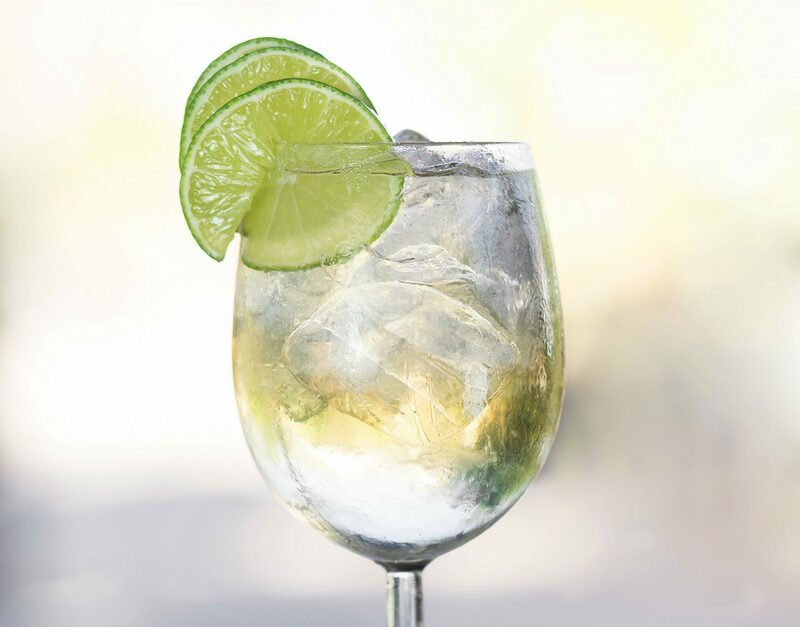 To serve, fill a tall glass with ice, pour in the white port (1 part), and top with tonic water (2 parts). Garnish with mint and a cinnamon stick, or lemon and orange zest. Stir, drink, and relax. P&T anyone? When in Oporto...Port Tonique is the go-to cocktail sipped by all the locals. 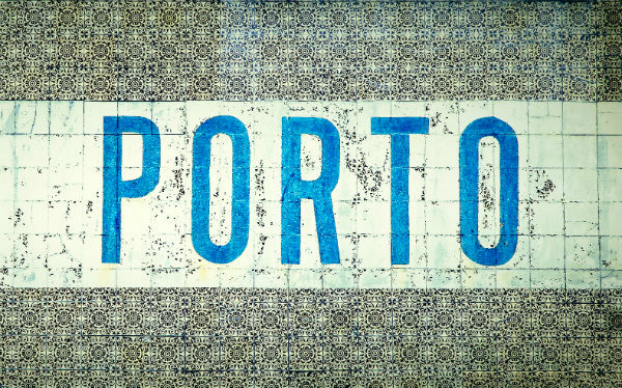 The most important style for the UK market is Ruby Port. This is young style, non-vintage, deep ruby colour and full bodied – feel it fill the mouth with its sweet, berry and spice flavours and punchy alcohol at around 20% abv. Taylor’s produce our own-label Ruby Port – Walter Hicks Western Hunt Ruby, named after our founder. Basically, a higher quality Ruby, aged for around five years in cask then filtered, bottled and ready to drink. The style is similar to Ruby in flavour but with more richness and concentration, and integrated alcohol. See Fonseca Bin No 27. A less popular style, but still one of the key port styles, a Crusted port is high quality ruby that is bottled young and unfiltered. As a result, it throws a heavy sediment (crust) and therefore needs decanting. It can be from a single vintage or labelled as non-vintage. Possibly the most exciting style of Port in terms of opportunity and versatility. The oxidative ageing leads to a lightening in colour from ruby to tawny brown, hence the name. The wines are soft and smooth and taste lighter in body. Try serving lightly chilled on ice as an aperitif, with a cheese board (blue cheese especially), or even some desserts. Note, the declared age on the bottle is an average of the years not a minimum requirement but it must be consistent with the characters typical of that age. The label must state the year of bottling which is important to look out for as wine will lose freshness over time. Once a Tawny Port has been bottled, it’s designed to be drunk as it has already been aged by the producer. The wine has no sediment so doesn’t require decanting and will last for a few weeks once opened. Typical aromas and flavours to expect are walnuts, coffee, chocolate, caramel and berry fruits. See Warre’s Otima 10 Year Old Tawny Port. A popular style in Portugal, named after the wooden cask the wine is aged in for a minimum of seven years. It is similar to a very old fine Tawny due to ageing and doesn’t need decanting as the sediment is left behind in the cask when bottling takes place. Colheita Ports are from a single vintage as opposed to the reserve blend from a number of decades you see on Tawny styles. The label will show the details of the vintage, how long it was aged in cask and the year of bottling. This is wine from a specific year, although not necessarily a ‘declared’ vintage. It is aged in cask for four to six years prior to bottling. Most LBVs are a modern style, which are filtered pre-bottling so are ready to drink with no need to decant. The wines are richer in style than a Ruby Port, with more complex fruit flavours and a detectable tannin grip. The wines will last for a couple of weeks after opening. The label will show the vintage year and the year of bottling. See Graham’s Late Bottle Vintage. Vintage Ports are some of the longest-lived wines of the world and also represent relative value for money. They are made from a single vintage, from typically the best vineyards and bottled after two years to continue the ageing process in-bottle as opposed to cask. When young they are full, rich and tannic (a more popular style in the US), and will become mature after twenty years or more. They throw a heavy sediment so need decanting and then consuming in a couple of days. Currently worth seeking out are Ports from 1977, 1983 and 1985. See Dow’s 1983 Vintage Port. A Quinta is a wine producing estate so this vintage style signifies that the Port is produced from a single estate usually of great repute or alternativley, where the vintage is not quite good enough to declare across the region, a producer may chose to issue a ‘Quinta Vintage’ from a particularly good estate. See Taylor’s Quinta de Vargellas. Port is often overlooked or politely declined after meals, especially once appetites have been satisfied and taste buds quenched, but it is worth saving the tiniest amount of room for this esteemed and most British style of drink. A Vintage Port to celebrate an occasion, an LBV to accompany the cheese platter, an aged Tawny to partner a Chocolate dessert, or a White Port & Tonic to keep the party going? Whatever you choose, we hope you enjoy re-discovering Port.